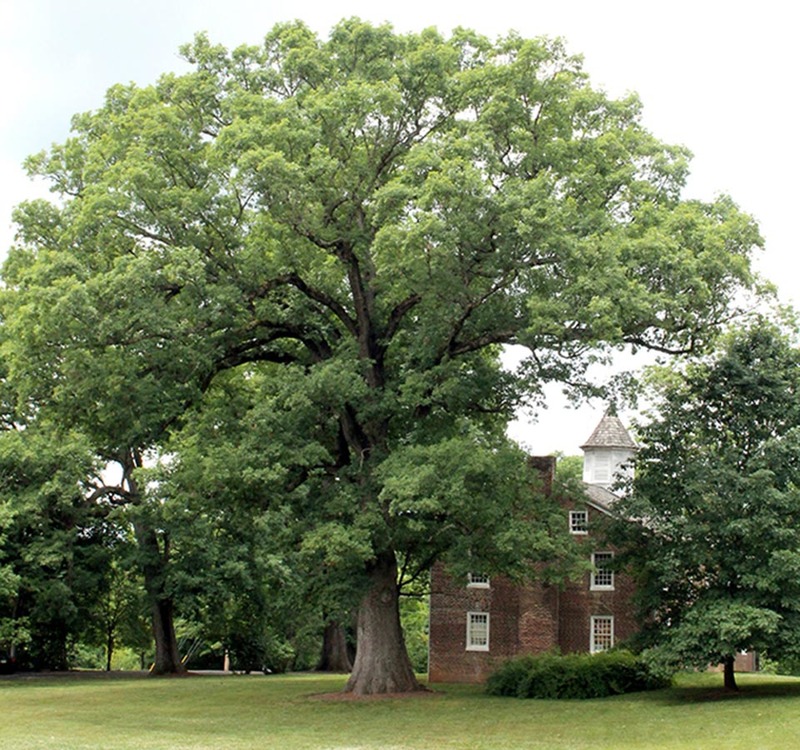 The Old Oak once shared honors as co-champion white oak in the state of Tennessee. Standing over 100 feet tall, with a circumference of twenty-three feet and a spread of 110 feet, the tree is between two hundred fifty and three hundred years old. The college hosted an Old Oak Festival in the 1970s and revived it in 2011. The Old Oak is behind the left end of the building, circa 1875.